With the Chanson Violet you are getting an amazingly advanced machine that is incredibly affordable. The plates are made of what Chanson calls "nano" technology. This baby can produce strong alkaline and strong acid water even without salt. The Chanson Violet can make alkaline water as strong as 10.7 pH and acid water as strong as a 3 pH at full water flow depending on water quality. As Jamaicans' would say "it likkle but it tallawa". Folks big is not always better. If you have limited space on your counter top and you are looking for a well built water ionizer that is reliable then you are in for a treat. While the Chanson Violet only consumes 150 watts of power it actually out performs some of its higher priced competitors. The Chanson Violet also comes with Limited Lifetime Warranty. This is almost unheard of for such an economical model. Friends don't be spooked into buying a machine that you cannot afford. That would be an acidic decision. It is more alkaline to buy a machine that you can afford. Because of the Kangen Water movement the American consumer is beginning to learn about the health benefits of drinking alkaline water and that's a great thing. however it is an urban myth that only the 7 plate $4,000 machines can create the water that is getting people off their medications. It is simply not true. Before the advent of the "7" plate machine 3 and 5 plate machines were the machines used by several doctors in Japanese hospitals, and they were getting remarkable results. The five solid titanium plates on the Chanson Violet are nano plated with platinum. The cutting edge design and proven durability of electro-plated platinum ensures you get the best ORP (Oxidation Reduction Potential) alteration and functional durability, year in, year out. Chanson counter top water ionizers has the option of a wall mounted so you don't need to have it on your sink. •It can be changed to relaxing piano system. 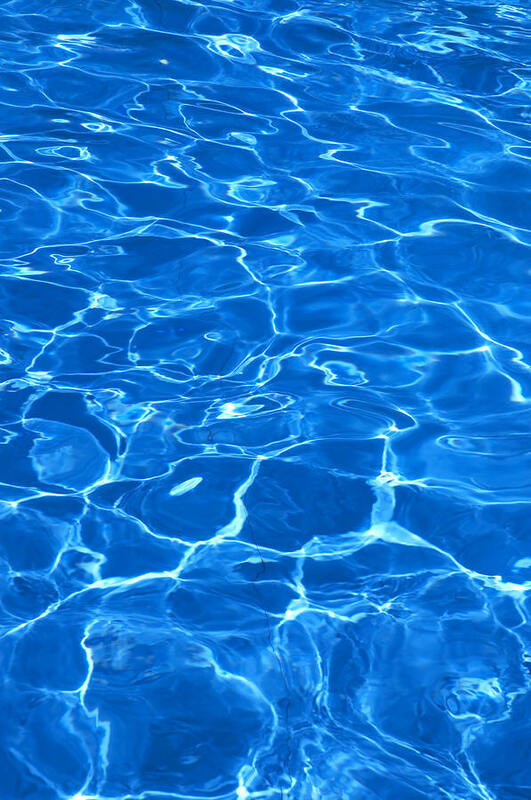 The water supply can vary a lot from state to state and county to county. Because of this difference in source water, an ionizer at the same alkaline settings will produce different alkaline levels; a filter in the different water quality condition will have different filter life; Self-Clean in the different water quality condition will have different frequency of self-cleaning cycles. •The Chanson Violet automatically adjusts the remaining filter life according to your water quality. •The LCD displays the remaining filter life, reminding you to change your filter when necessary. 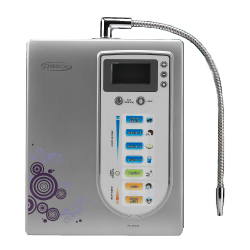 The Chanson Violet water ionizer includes the patented TSCF (Triple self-clean function) system. This function can remove scale from the electrolytic cell successfully. Chanson water ionizer can auto-adjust "the remaining water filter life" and "time of self-clean" according to your water quality. The Chanson Violet allows you to adjust your own water ionizer settings, not every one's water ionizer settings. •Chanson Ionizers is thoughtfully designed to shut off if left running for more than 20 minutes to prevent flood damage in the event the machine is left running but unattended. pH test kit: This kit contains test tubes, reagent liquid and a pH color chart to help you understand the ionizer's performance and so that you can be sure you are drinking the right level of pH. Chanson Violet Owner’s Manual: Our beautiful color manual is a great tool! Chanson Violet Installation CD: Right in the box for your ease of use. This CD will walk you through the steps to get you drinking the best alkaline water. We recommend watching this video before installation. Installation kit: Comes with everything you will need to perform a standard installation. Unique or custom installations may require extra parts and or adapters which are conveniently available at most home improvement or hardware stores. Personal Service: This item is not in the box but only a phone call away. If you have any questions about your ionizer's installation or performance we are just give us a call. Five (5) electrode of titanium nano platinum titanium. Language Options: Select Chinese or English language for real person pronunciation as the machine fuctions. Flow Rate Sensor: To prevent excessive usage. Alarm message in case of low flux. Hot Water Alert: Alerts you when hot water is run through the unit. Multifunction LCD Display: displays filter life, PH-value, clock, time, over-heated water temperature alarm and malfunction alarm. Use Sliver-adding Fiber Activated Carbon Filter helps to reduce lead ions from old pipes and is an anti-bacterial. Intelligent Panel Design: Anti-UV, free of leaking, abrasion & scratch, fast color, easy to clean and All-In-One keypad and panel. Easy to open filter cover door. High-quality Cartridge filter - removes diverse pollutants and microorganisms. Mineral Port: You can extend the range of pH by adding calcium through an exterior opening. Power Consumption: 5w - 150w Higher wattage. The "green friendly" nano platinum and titanium plates only consume about 150 watts of power and still out perform almost many higher priced ionizer brands on the market today. Chanson is researching plates that will use less than 5 watts to ionize water.